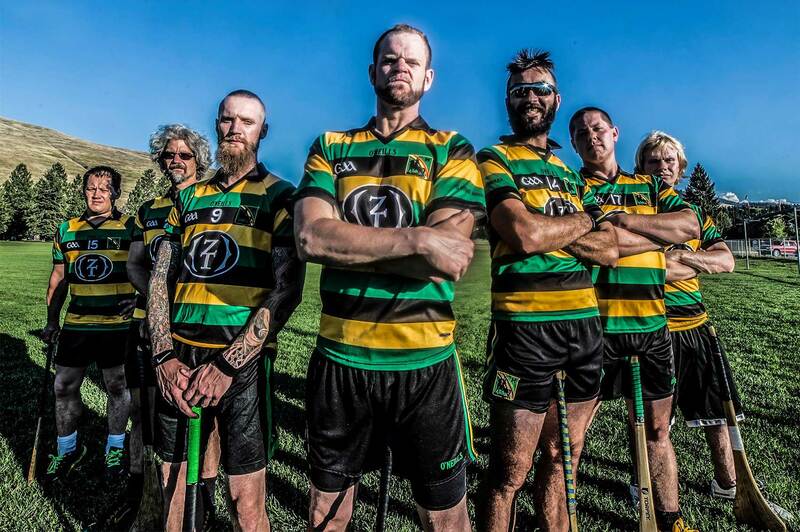 Thomas Meagher Hurling Club | An Irish Hurling Club in Missoula, Montana. Hurling is an ancient Celtic warrior sport that has been the national obsession of Ireland for centuries. A tribe of 15 players wielding clubs called ‘hurleys’ face off against another tribe of 15, the two teams vying to get a small ball (roughly the size of a baseball) into or over a goal. The play is fast and physical and demands fitness, quickness, coordination and courage. Have a look at the game on YouTube and you’ll see why hurling is considered ‘the fastest game on grass’ and why it is the fastest growing sport in the US. The Thomas Meagher Hurling Club has been Missoula’s hurling tribe since 2015, an outgrowth of the very successful hurling program at the University of Montana. We compete in the northwest division of the USGAA, and regularly travel to Washington and Oregon for competitive tournaments, as well as to the annual USGAA championships. Our mission is to develop the sport of hurling in Montana, and to build a friendly, fit and competitive community of athletes. JOIN US!